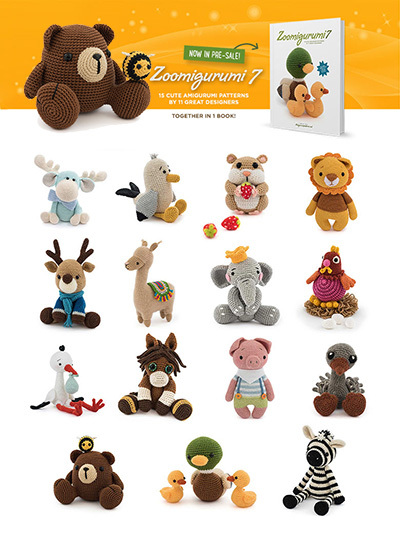 a very cute soft toy sewing pattern book! Not the kind of plush toys you will find in any toyshop, the DIY toys in this book are unique and so cute they are guaranteed to make children of all ages smile. With clear diagrams inspired by Japanese pattern books, the tutorials are easy to follow and suitable for all sewing abilities, even complete beginners. The 12 designs will delight boys and girls alike and include patterns for a monkey, an owl, a bear, a dragon, a tiger, a cat, a dog, a hippo and more. All the toys are made in washable and affordable quilt-weight cotton, so you can choose your own favourite colours and prints to get creative with. 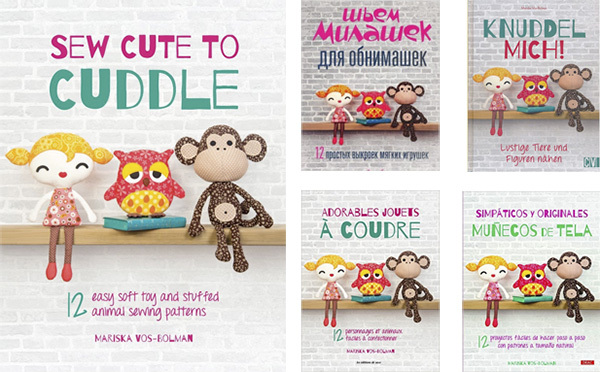 In each project, designer Mariska Vos-Bolman (creator of the popular Fluffles and DIY Fluffies brands of soft toys) has broken down each step with such clear step-by-step diagrams that more experienced sewers can follow the instructions without even reading the words, while beginners will benefit from the detailed written advice too. As well as finding all the advice you need on materials, stuffing and sewing techniques, all the templates are given at full size, so there is nothing stopping you from starting straight away! availlable from amazon and other bookstores. Or you can buy a signed book from me in my etsy or dawanda shop. 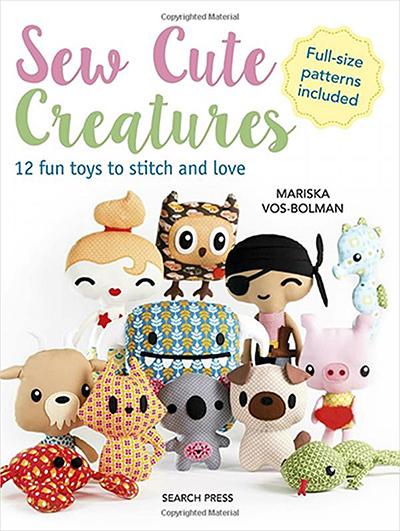 In this book you can find 2 DIY Fluffies patterns: Koji the baby Dragon and Kiki the baby Phoenix. Together with 12 other cute creatures! In this book you can find 2 DIY Fluffies patterns: Mr. Blue and Bibi the pink monster. Together with 13 other cute monsters! Together with 14 other cute animals!